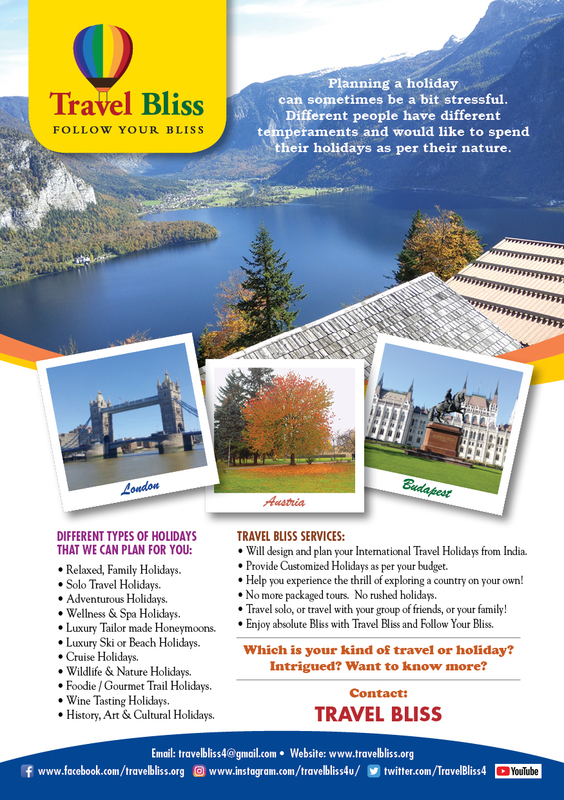 Plan your travel with Travel Bliss and Follow your Bliss! Really sorry for the Radio silence!! My website was down and my heart was in my mouth and my brains went on a vacation! But I am back now and keep a lookout for this space, for my next post, which is very inspiring and very awesome! As per an article in Business Standard.com India will account for 50 million outbound tourists by 2020. As per their Report: Not only are Indians travelling to international destinations more; the average spend on travel too is on the rise. Mohit Gupta, COO, MakeMyTrip said: “There has been a 3.7-times increase in the total spend of customers travelling to international destinations as compared to domestic destinations with more about 39 per cent more Indians traveling in the winter of 2017 as compared to 2016” . 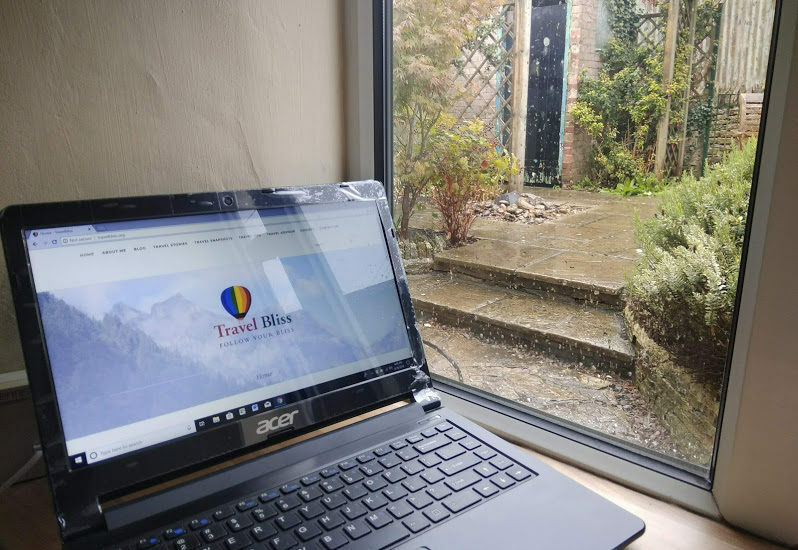 So this brings me to share with you about my Travel Business Plans. My focus is the Indian market. There is trend of more and more Indians going for International Holidays. Why do people travel? Last year I had done a short online poll among a varied group of Indians and the results were very interesting. Checkout this post:Why do we travel? More and more Travel Companies in India are offering affordable and budget holiday travel packages to us, so that we can all afford to travel to an International destination for our holidays! This is an awesome thing, because many travel companies really do offer a very good deal to suit everyone’s pockets (well almost!). 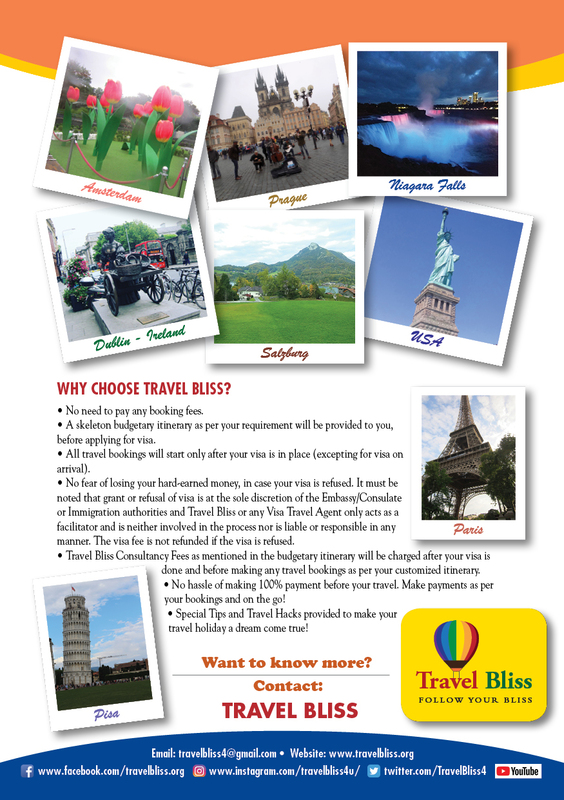 So what do I have to offer you, which is different from other Travel Companies? Different people have different temperaments and would like to spend their holidays as per their nature. How would you like to spend your holiday? What’s your idea of a vacation? We all of us have at some point of time or the other wanted to go on an International Holiday, but various things stop us: doubts whether it is the right time, financial insecurities, work pressures, family issues, social commitments etc. Travel should not be a stressful thing! If you are stressed about traveling or going on a holiday thinking about how much of a hole it will burn in your pockets, then I suggest you should wait. When the time is right, you will know. Do only what suits you and your budget. Yes it is a trend to go on International Holidays, but that’s what it is, a trend! You can go and explore your own backyard, have a picnic in your local park or go trekking to the nearest hill near you and it will all give you an equally great sense of thrill and adventure and blissful feeling. I know that I am sounding contradictory, on one hand I am imploring you to travel and am promoting my Travel business to you and on the other hand I am saying not to stress it, if you can’t travel, don’t! I am not imploring you to travel, I am imploring you to follow your bliss and if that idea of bliss for you is to travel, then please do follow your bliss and travel. Let’s do things because we want to do it for our selves and that which is within our means. Let’s not do things, because it is trending! Till then, keep traveling and keep sharing your stories here!